What are Pill Pockets for Dogs and Cats? Pill Pockets are a great product which allows you to mask your pet’s medications easily. Pill Pockets turn your pet’s medications into treats and will make them love taking pills. They come in tablet capsule sizes to accommodate most pills. 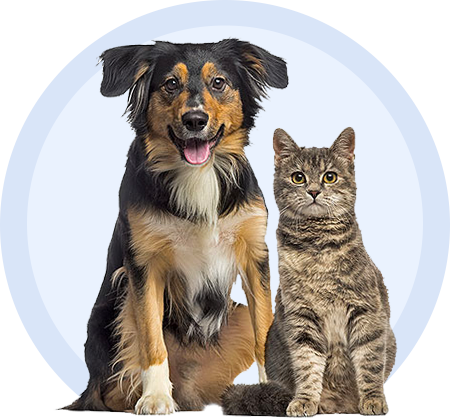 There are also cat and dog formulations with flavors ranging from chicken, salmon, peanut butter, and hickory smoke. You can also get the formulations with real meat in them. If your pet has allergies to foods, the environment, or just an easily upset tummy then try the allergy formula Pill Pockets. Ingredients: Chicken or Beef, glycerin, wheat flour, vegetable oil, dried corn syrup, wheat gluten, corn flour, natural flavors, lecithin, brewer's dried yeast, potassium sorbate (to preserve freshness), salt, metylcellulose, ascorbic acid (source of vitamin C), mixed tocopherols, vitamin E supplement.